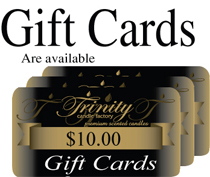 Trinity's Votive Candles will give you 15-20 hours of pleasure. This votive is approx. 1 3/4" x 2" and fits all standard votive holders. 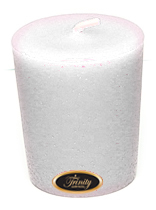 This triple scented votive candle is available in all 100+ fragrances that is guaranteed to burn clean and smell great.